It is estimated there are 58.4 million pets here in the UK – that’s a lot of animals! This figure includes anything from indoor birds to cats, from lizards to dogs. So, if you are dog owner, then you are not alone as over 8.5 million pooches reside somewhere in the British Isles. It’s no wonder that dog friendly holidays are popular – and the UK does not disappoint with doggy-loving destinations! For those of us who own a dog (or cat, budgie, rabbit), our pet is part of the family. Giving us unconditional love and affection, ideally we’d like to take the dog with us when we go away. And while this can’t always be the case, with the ever-popular UK ‘staycation’, many holiday locations accept pooches for that perfect holiday. 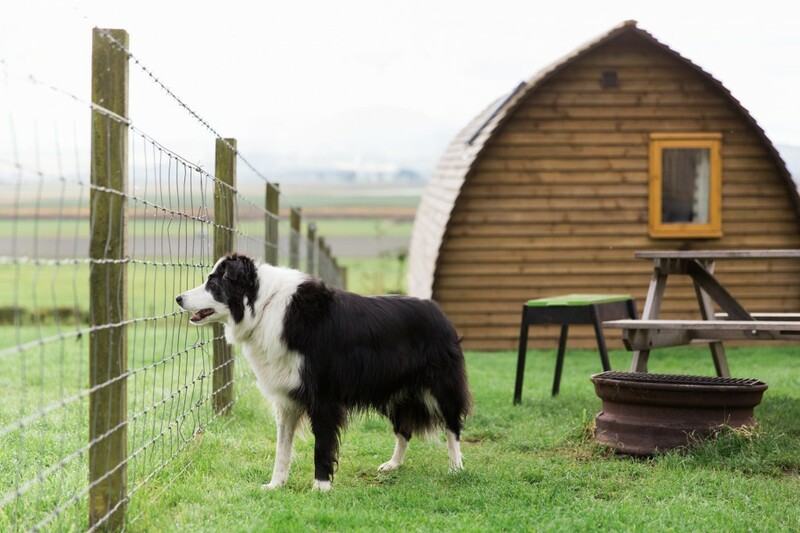 Whatever your preferred type of break – gorgeous dog friendly glamping, luxurious hotel, comfortable B&B, cosy cottage – you will find a place that’s delightful for your dog. Many holiday accommodation providers know how important it is for guests to be able to bring their pet with them. It can be a deciding factor when it comes to booking that break away. It’s fair to say some sites aren’t suitable for a pet. The actual location and surroundings may prove uncomfortable or even unsuitable for an animal … so, how do you go about choosing? Your Dog Holidays is a comprehensive website which splits the UK into counties and also lists the ten National Parks and eleven National Trails (idea for dog walks) on their homepage. The website also has dog travel advice (some pets get car sick, for example) as well as thoughts on camping with your dog and packing that doggy suitcase! Their Dog-Friendly Regional Guides split the nation into handy ‘chunks’ so you can start your search with a preferred location in the UK. Meanwhile Dog People contains a number of directories for holiday parks, B&Bs, hotels, pubs, days out, walks and even beaches that welcome the four-legged member of the family. This website has it’s own dog friendly rating system to help dog owner make their holiday decision. Dog Friendly states it has the largest database of dog friendly sites across the UK, listing 27,000 venues, from glamping to B&B listings. And if you like to be interactive with your choice of pet friendly places, then visit Dog Friendly Britain for a detailed, nationwide map of dog-welcoming locations. National glamping network Wigwam Holidays provides comfy, affordable camping in the great outdoors. Some sites accept dogs and are located near fabulous dog walks. 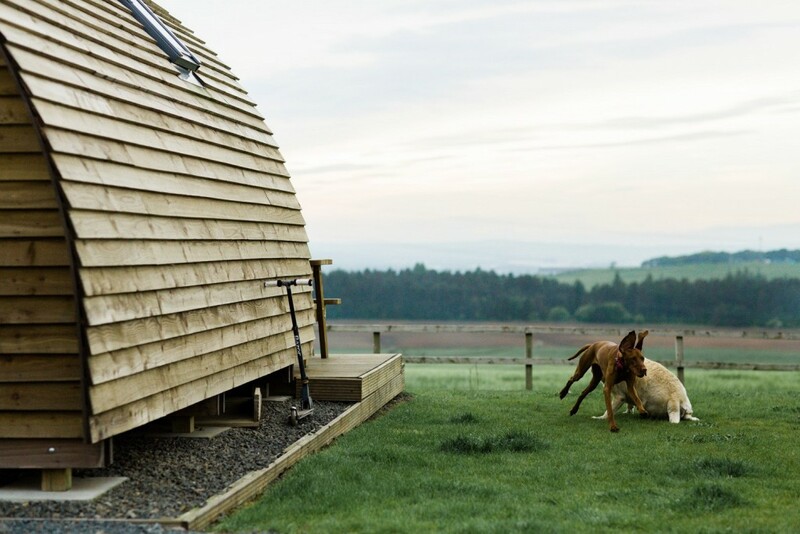 Find out more about dog friendly glamping by visiting the Wigwam Holidays Inspire Me section. With the United Kingdom embracing four nations, the national ‘Visit’ website portals are crammed with positive pooch places! 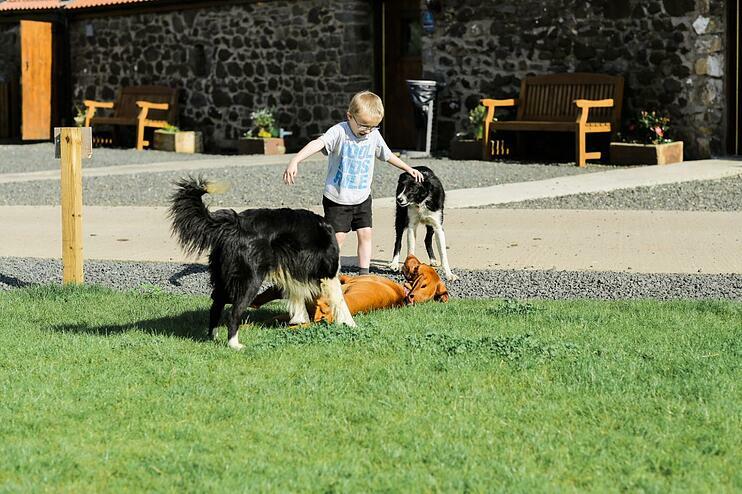 Visit Scotland has a useful list of pet friendly accommodation, venues and activities. Visit England operates a similar search and put in ‘dog friendly’ to find a useful list of places which are suitable for a dog. Wales as a nation encourages dogs to get the sand in their paws, and if you fancy a quick flight or ferry crossing to Northern Ireland, dogs are definitely made to feel welcome.